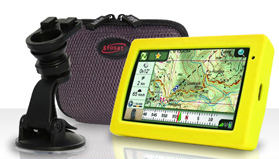 Visit the Support section to find answers to your questions about AvMap GPS. 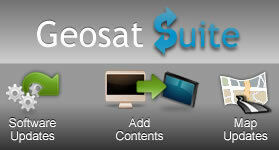 Visit the product page or the Support section to download user manuals. The GPS technology can benefit in many ways: saving time and products, reducing the environmental impact and ensuring a higher productivity. 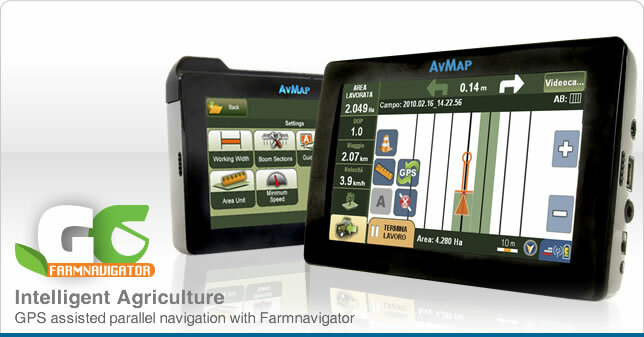 In collaboration with SatconSystem, a german company specialized in precision farming products, AvMap has developped Farmnavigator, a mutlifunctional GPS dedicated to precision farming. The system shows on the display the track to follow and ensures an equal treatment of the field without any overlapping. 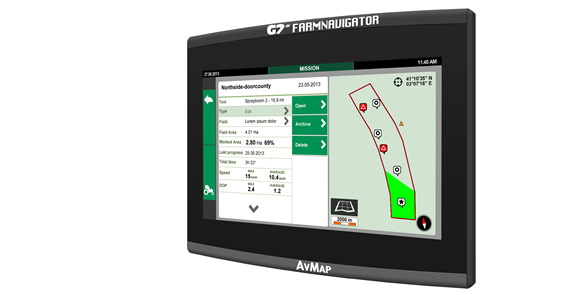 With the AvMap agricultural GPS you can trace the contours of your field, register the data about the field application and optimize the operations. GPS for agriculture helps reducing costs and increase efficiency. With satellite-assisted agriculture, the costs for fertilizers can be cut by 10/12%. The GPS helps also avoiding accidents as it can warn about obstacles that can be hidden in the vegetation for example in corn fields. Competitive cost affordable for any agricultural enterprise, and with immediate return on investment.